"Eating" (DVD cover at left) makes a persuasive argument for a plant-based rather than a meat-based diet. Photo from http://www.ravediet.com/. Q: WHY is there an epidemic of heart disease, cancer, diabetes and other diseases in the United States (and increasingly the world over)? A: We eat too much meat and dairy. 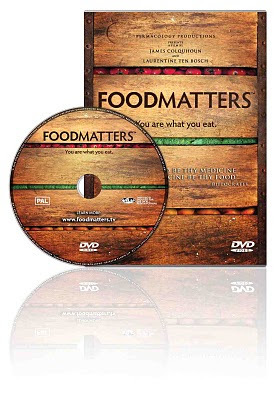 James Colquhoun and Laurentine ten Bosch produced and directed "Food Matters." Photo from http://www.foodmatters.tv/. Q: Why will following U.S. nutrition guidelines kill you? A: They are heavy on meat (and light on vegetable) consumption. Meat is high in cholesterol and saturated fats. The two are associated with various illnesses that can lead to death. Q: How safe is our food? A: In the United States our food is not safe, particularly meats, because of the conditions in which farm animals are raised, including what they are fed and how they are warehoused. Q: Why do U.S. doctors – and many in other countries – treat symptoms of disease, not causes? A: Because they don’t learn about nutrition in medical school. They do, however, learn about prescribing pharmaceutical drugs that treat symptoms rather than causes. These and other questions are asked and answered in what are considered two of the best documentaries about food in recent years. Available on DVD, both offer useful, shocking and controversial information – from experts who have no profit motive – about how one can eat one’s way to good health and life longevity. 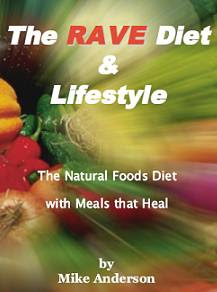 "The RAVE Diet & Lifestyle" book offers practical ways to adopt a plant-based diet. Photo from http://www.ravediet.com/. Both DVDs are available in several languages aside from English. "Food Matters" strongly asserts that the cure to illnesses is not in pharmaceutical drugs. Photo from http://www.foodmatters.tv/. Each year around this time millions begin to reflect on the year coming to a close and the new one about to dawn. No one would argue that a good New Year’s resolution would be to lose weight in a healthy, sustainable and informative way. 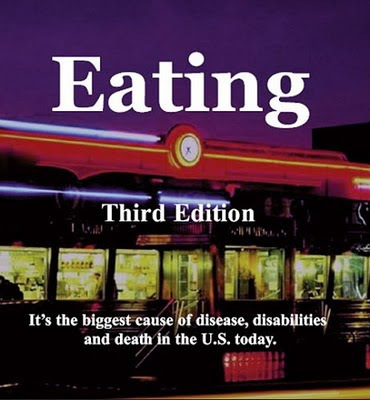 “Eating” and “Food Matters” may be too radical for many, especially beef steak and beef burger lovers/fish and fowl fanatics/cheese and Chunky Monkey connoisseurs. Yet, the films contain hefty servings of good, whole food for thought worth considering, especially if it promotes good health and a longer life: lentil steak, eggplant burger, "cheese" sauce, monkey bars.